I am always looking for new products and innovative packaging, so as a peanut lover the new Jif Power Ups® packaging intrigued me. 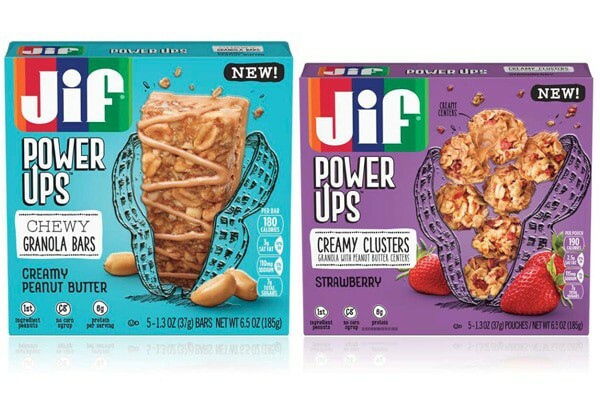 While so much is being touted about flexible packaging, Jif has come out with a great new paperboard package containing individual serving size packages inside – the best of both worlds. 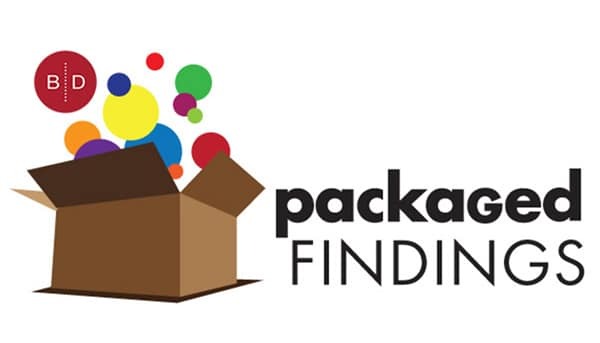 Straight out, you begin with a standard 6-sided folding carton – nothing innovative there but as in all good packaging, graphic design is what will engage the consumer in a very crowded category. Jif presents a very unique image of their product without actually holding it in your hand. Nested into a casual, sketchy illustration of a peanut shell, the products emerge out of the shell (flashing back to Botticelli’s “Birth of Venus”) to assume principal importance within the panel layout. By incorporating an embossment behind the product visuals and adding a spot varnish on top of the images, the resulting effect is a product image that is dimensional, crisp and clear – setting the stage for the product you will receive once you actually open the package wrapper. From an execution standpoint, this adds cost and complexity to the package. It also adds a tactile element to the package that is not only appealing but also different from other packaging in the category. The product is offered in both clusters and bars, which is clearly delineated on the face panel and situated in close proximity to the product visuals. Coupled with the detailed product images, there is no confusion about what the product contains. The other important element supporting the product visuals is the Jif logo – important because if you are brand loyal, you are immediately bridging the brand equity vested in Jif’s product family directly to this new product. While many consumers have to deal with real concerns over nut allergies, what I found to be important and helpful, was instead of the standard ingredient copy format, they used a simple straightforward icon system. This communicates that the principal product ingredient is peanuts and that there is no corn syrup added to the product – critical information for consumers concerned about product transparency. Much of what is presented on the face panel of the package is repeated on the back panel, only using enlarged views of the products along with embossment and varnish. The panel isn’t overcrowded with copy; it is a simple introduction to the product along with the peanut content icons repeating the content from the face panel. 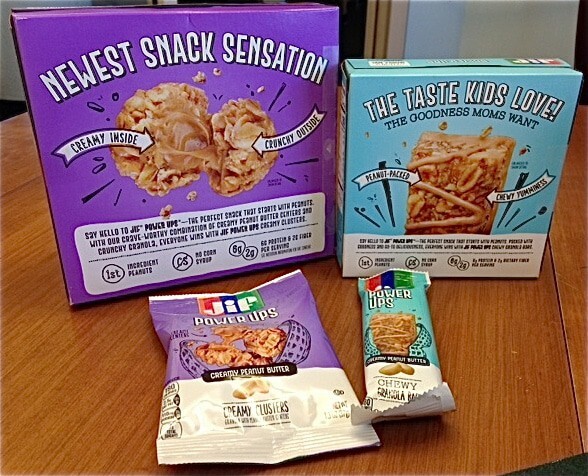 The overall design theme carries through into the individual single-serving packages, providing important brand consistency and reinforcement. I may be old school, but so much of effective packaging is similar to the old media mantra of frequency and reach. You want consumers to be aware of your brand wherever and however you see it. Your ability to consistently present your image to your consumers in all mediums is essential, and Jif achieves that with the alignment of its internal and external packaging. As always, if I could improve anything about the package, I think that the NEW! violator could be more “color present” on the package. Being in black and white and tucked in a corner, it becomes a recessive element when it should have a greater presence in order to catch consumer attention. Perhaps consideration could be given to the relationship it plays to the product visuals and the Jif logo so that these elements are linked more effectively together.